My favorite mouse is probably the Microsoft Intellimouse Explorer 3.0. Released in 2003, it represented the culmination of refinements made to the Intellimouse brand since its introduction in 1996 and was a real fine piece of equipment. If I wanted it badly enough, I could track down some new Intellimice from eBay and be done with this ordeal, but I was interested in seeing how the market had progressed for the no-frills gaming mouse in the last decade. I began researching my options and narrowed down the field to 3 contenders, the Mionix Naos 7000, the Steelseries Rival 310, and the Logitech G403 Prodigy. PC peripheral maker Mionix is pretty new on the scene. 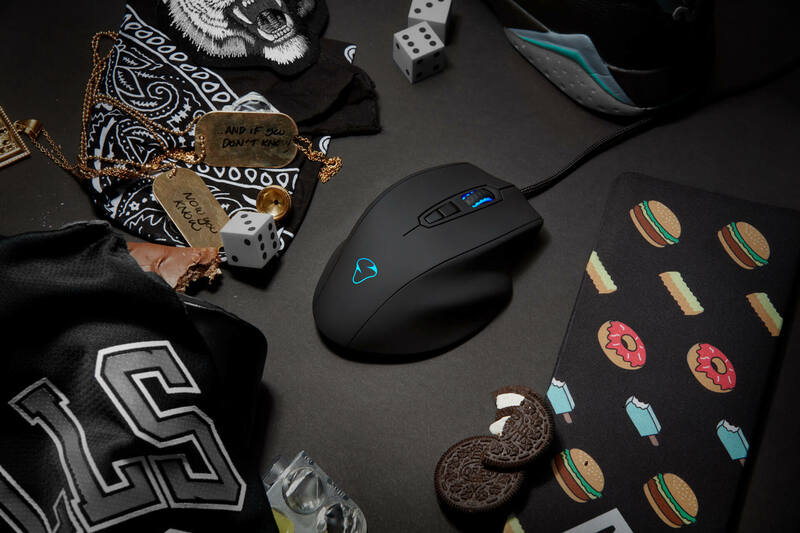 Founded in Sweden around 2007, the company offers a variety of gaming-centric mice and have expanded into the keyboard and desk accessory market. 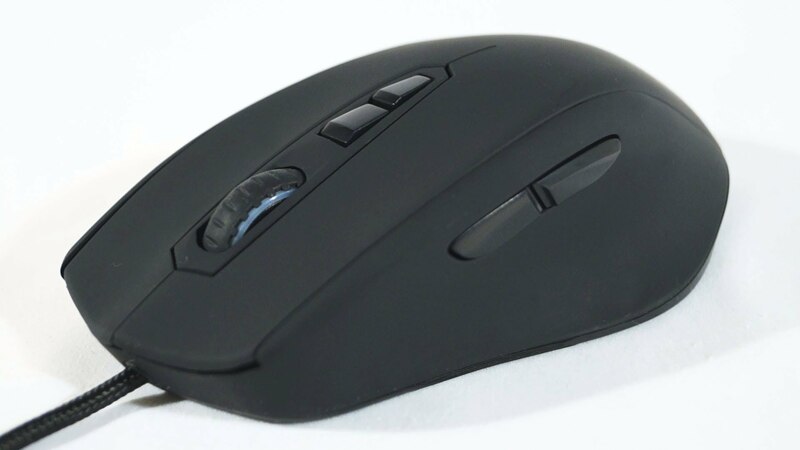 The Naos 7000 mouse was originally released in late 2013 and sports an ergo-style design for right-handed users. It has 7 total buttons: left click, right click, mouse wheel, forward, back and two DPI selectors. The mouse has a rubberized coating all around that feels very good in the hand. It feels more “expensive” than the other plastic shell mice I’ve used over the years and does not make my hand or fingers sweat during game play. The wheel also has a rubber ring for extra grip. Just below the wheel are the DPI selector buttons. You can go from 500DPI to 7000DPI in increments of 50. The main buttons use the ADNS-3310 sensor and the clicking action feels good. The side-mounted forward and back buttons have perfect placement and a great feel. The inner mouse wheel and front palm area sport a set of LED lights that can be controlled with the Mionix Mouse Software and I was able to dial in an accurate shade of white that perfectly matched my keyboard and PC case lighting. In addition to a static light, you are given the option to have the lights blink, pulse, color shift, or be turned off entirely. Software for gaming peripherals has become a wasteland of horrible design and internet-connected bloat (see our piece on NZXT's CAM fiasco). Mice that require software for configuration are often bogged down with needlessly resource intensive packages that no one asked for. Razer’s Synapse is one of the biggest offenders and often causes more problems than it fixes. I can gladly report that the Mionix Naos 7000 Software package is everything that you need with nothing you don’t. The download clocks in under 8MB and uses very little of your system’s resources. It does not set itself to run at Windows startup and doesn’t try and connect to the internet. The visual layout could be considered rather spartan, but everything is easy to find and configure. It offers macro support and the ability to fine tune the sensor. The software offers something labeled S.Q.A.T, the Surface Quality Analyzer Tool to help tune the mouse to your specific pad, but was not needed in my case, where the mouse tracked like a dream out of the box on my Corsair MM300 desk mat. I began using the mouse for browsing and work and everything worked as expected. I was eager to see how the thing would feel in hand as I have not used a mouse that had such aggressive supports for my ring and pinkie finger previously. I have some fairly large mitts and I found that once I was positioned in the way that the mouse design seemed to promote that my clicking finger were almost at a 25 degree angle from the normal position. Holding the mouse with the ergo-grip felt good, but made precise clicking less than optimal for my hand. I was able to adjust my grip in a way that got my index and middle finger where they needed to be, but I felt like any benefits to be gained from the mouse’s shape have been wasted. Even with the adjusted grip style, I found using the Naos 7000 to be great for games. The tracking was excellent and the button clicks felt right. The mousewheel has a good feel and selecting weapons with the wheel in the heat of battle worked perfectly every time. For gaming uses, I felt like this wheel was superior to those I tried on the Logitech and Steelseries mice in the same category. The braided cord is light and never once got in my way. Though it doesn’t really matter in the grand scheme of things, I feel like I should mention the packaging used for the Naos 7000. Rather than a simple cardboard box holding a plastic clamshell, Mionix has opted for the best packaging I’ve ever encountered on a mouse. The Naos 7000 comes in a blue and white box that opens like a hardcover book to reveal its plastic inner cradle for the mouse. A hole at the top of the cradle has the braided cable fed through. It was easy to open, feels sturdy as hell and made the perfect home for the stray Logitech G403 I had from the previous review. While I could not personally make the ergo shape of the Naos 7000 work with my hands, the mouse performed more than admirably for me in gaming and day to day use. Good switches, a great wheel, light software, and the rubber coating work together to create a package that is very attractive for the $39 it cost me to acquire. Mionix has followed up the Naos 7000 with a new mouse called Castor. 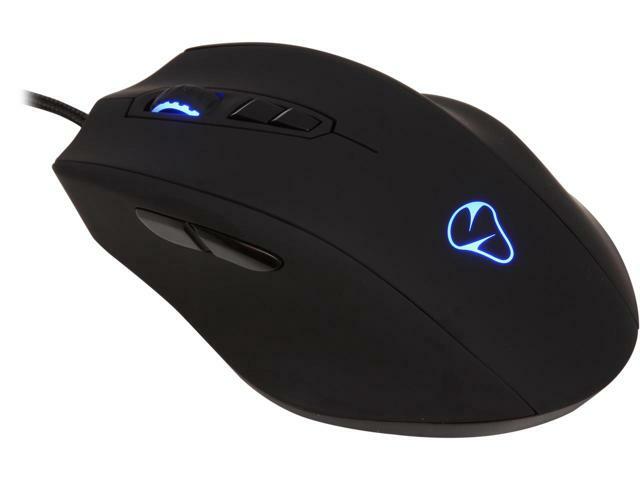 It has an ambidextrous design in a smaller mouse while retaining all the features from the Naos 7000. It could be the perfect choice for someone interested in Mionix gear who are unable to make use of the ergo design of the 7000. If the exaggerated ring and pinkie support are what you are looking for, I cannot recommend the Naos 7000 enough. This is a solid mouse that performs the job well. 8/10 Intellimouse Explorer 3.0s. You can check out Part 1 of the gaming mouse review round up, featuring the Logitech G403 Prodigy, by clicking here.